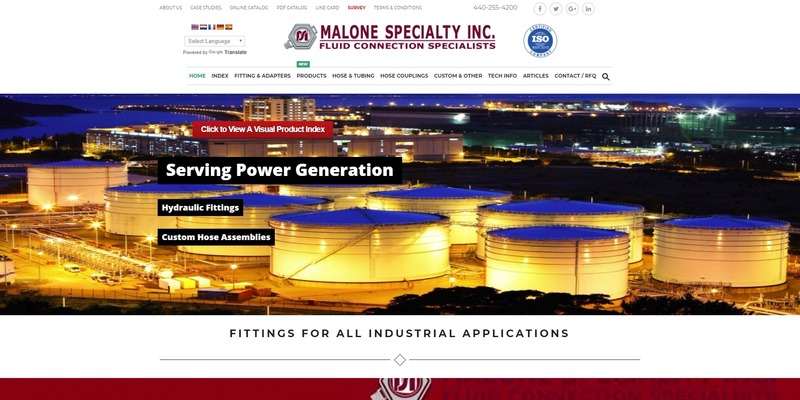 Malone Speciality is an Ohio based company that turned to TotalWeb Partners to improve a captive catalog site that they use with a known group of engineers. The site is RWD including automatic response on the chart pages. They will insert a horizontal scroll bar ONLY when the screen becomes too small to display the entire chart. This is true RWD as compared to many sites that re-size around charts or have permanent scroll bars. The Site has detailed product images of each connection which the user can expand. Included customer survey for new and current customers. Additionally, the site includes a complete and simple to use customer accessible CMS back end to easily load new products within the established families that will automatically be included within the search results and chart pages.